Misty Mountain Ranch and Cabins Complete. In house suites complete with Wet bars,Fireplaces Wood burning decks, Large Jacuzzis. for Two Micro waves and coffe makers and refg and on and on. Trout fishing, Skiing in season Pet Freindly and we welome the youngsters as well. 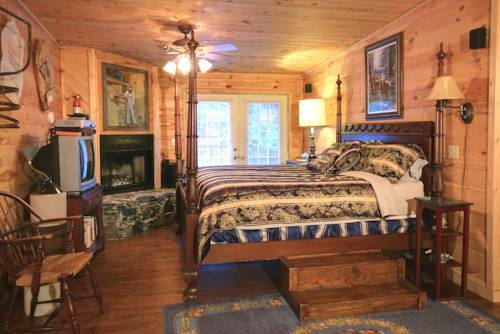 All of our B and B suites come with a full Breakfast and our cabins with a full and complete Kitchen. We are proud to say we have had thousands of very happy and satisfied custormers and there comments are here to see and read. Peter and Karen Hession Misty Mtn Ranch B and B and Cabins. Check-in is at 3 00 PM. Guests planning to arrive before or after this time must contact the property at least 48 hours prior to arrival to receive special check-in instructions. As a bed and breakfast property, the Front Desk hours will vary guests should contact the property to find out more information. To contact the property, use the number on the reservation confirmation received after booking.